Cooking a pot roast is not technically difficult—in fact, the most important tools a cook brings to the task are attentiveness and patience. Well prepared, a pot roast can be one of the earthiest and most satisfying meals you can make for your family and friends. Aside from a good cut of beef, time is the most important ingredient. 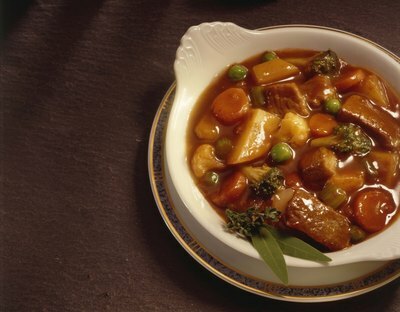 Pot roast is a cut of beef that the cook browns in hot fat with aromatic vegetables, and then simmers in liquid until the meat is fork-tender. Sometimes other vegetables, like potatoes, carrots and mushrooms, go into the pot near the end of the cooking time. 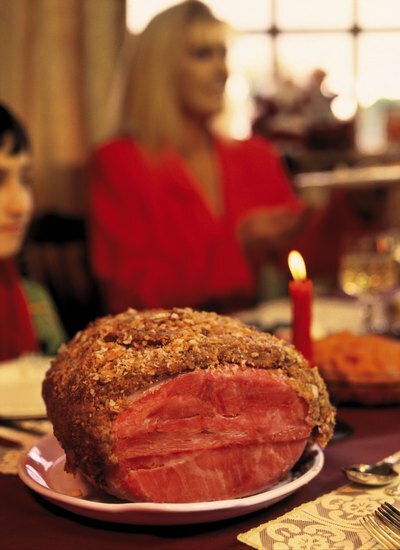 Some of the world’s most beloved dishes, including the brisket that Jewish cooks traditionally serve during Hanukkah and the German specialty sauerbraten, are pot roasts. 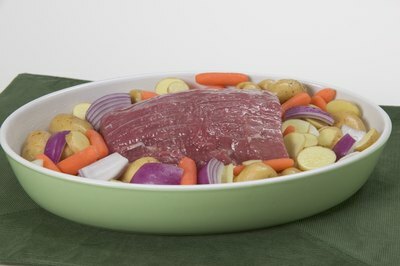 A good pot roast makes a delicious meal, but it's not a dish you can put on the table in 30 minutes. More than likely, you should expect that a 5-lb. pot roast will need at least four hours, start to finish, to cook properly. You can’t rush a pot roast and expect to end up with meltingly tender meat and a silky sauce. 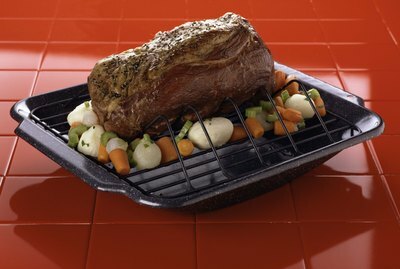 "The Joy of Cooking" recommends chuck, rump and bottom round rump roasts as good cuts for making pot roast. The New York Times adds top rib and brisket to the list. The thicker brisket cut called “second cut” is less lean than first-cut brisket, and thus makes a more tender pot roast, but also is harder to find. Both authorities conclude that boneless roasts, tied into firm, round shapes with butcher’s twine, are easier to handle than bone-in cuts. A 3- to 5-lb. roast will feed six to 10 people. Begin by drying the meat with paper towels and seasoning it with salt and pepper. Then heat the fat of your choice (olive or vegetable oil, butter or a butter-and-oil combination or rendered beef fat) in a big, heavy-bottomed pot. Add the meat, and brown it on all sides. When the meat is brown, move it from the pot to a plate and put chopped onions, celery and carrots, into the drippings and cook them just until they begin to take on color. At that point, adds liquid—water, stock or wine—and seasonings, put the meat back into the pot, bring the mixture to a simmer. Put the lid on and allow it to simmer gently for several hours. It’s critical that the liquid be barely bubbling around the meat. Most recipes suggest turning the meat over in the liquid two or three times during the cooking process. The recipes in "The Joy of Cooking" and the New York Times both recommend cooking times that average about 45 minutes per pound of meat. If you’re cooking a 5-lb. roast, you should simmer it for about two hours and then test it for tenderness. 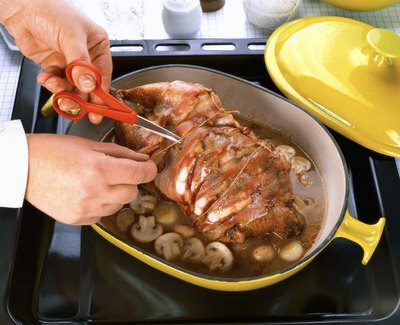 Ideally, when you stick a fork into the meat and pull gently on it, the meat should break away easily. If it’s not at that stage yet, put the lid back on the pot and let it cook for another hour before you try it again. Once the meat has cooked to your satisfaction, remove it from the pot to a platter and thicken the sauce. You can boil the cooking liquid down till it’s thick enough to suit you, or you can add a flour and water slurry or the flour-butter mixture the French call beurre manié to thicken and enrich it. 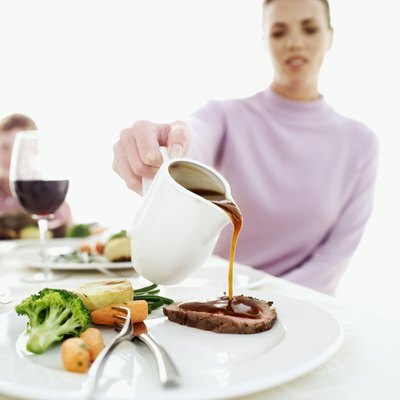 Whatever approach you take, be sure to taste the resulting sauce carefully and correct the seasonings before you serve the roast and sauce.